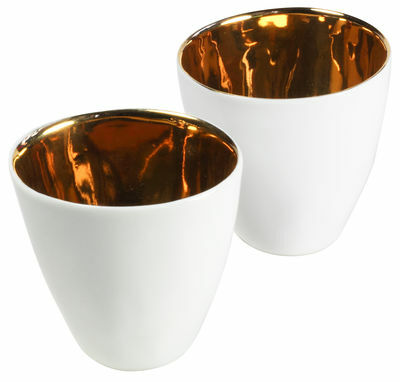 These cups '' thirsty'' in white porcelain gold glazed inside charm your guests. They seduce by their originality and their character that expresss itself in its lines that dance. Cheerful and refined, they do tasting of coffee, an exception moment marks with good mood. Exist equally in white porcelain platinium glazed outside.